I’ve got a friend who is pretty fun. She is a busy mom of four, but still makes time for my “I have a crazy idea” phone calls. 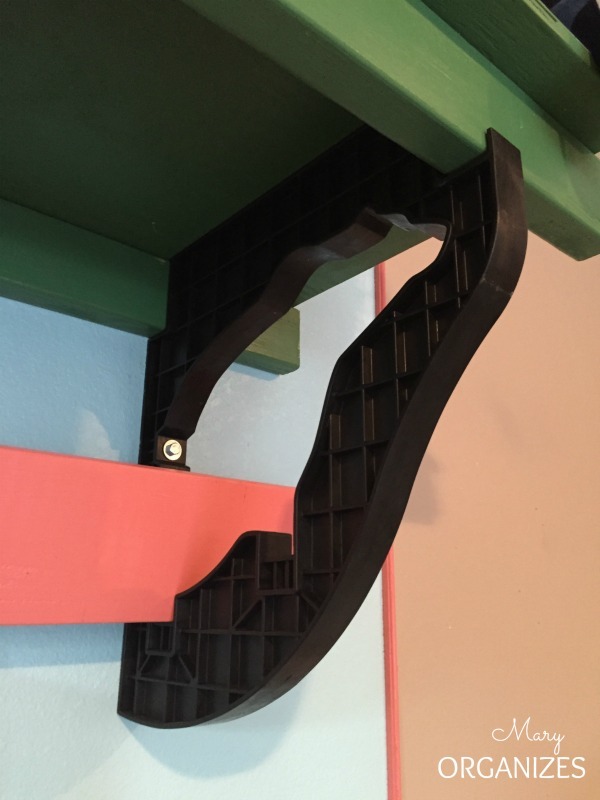 Like recently, the Big Bear Shelving company, maker of garage organizational systems and heavy duty shelving units, sent me an email asking me if I’d like to try out some of their heavy duty wall brackets in my garage. Immediately I thought of a recent conversation with my friend Jessica when she mentioned needing a solution for her kids backpacks and shoes. I called Jessica and said “I have this crazy idea. Can I come build a mud bench for you in your garage?”. She said yes! Many of you are working in your garages this week. The weather is perfect for garage projects. 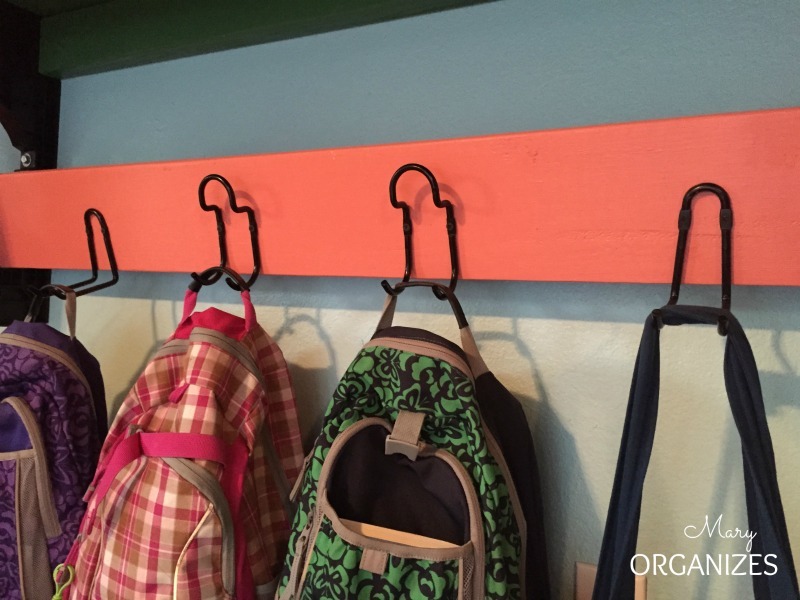 Maybe seeing this solution will spark an organizing idea for you! 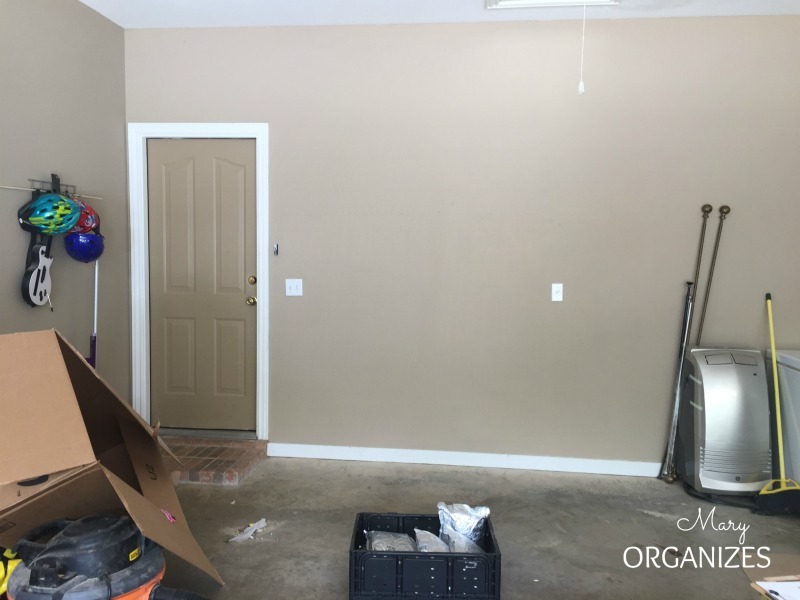 I went over to Jessica’s house to assess the space in the garage where we wanted to create the mud bench area. This was the wall we wanted to use for the project because it is next to the door going into the house. Planning wasn’t too hard because the Big Bear Shelving brackets came with a piece of paper with a very clear shopping list. I love the Semi-DIY approach. All the accomplishment of doing a big project with the help of the brackets ready to go and simple directions! The great thing about having my friend as my organizing “client” is that I got to take a few risks with the project. Risk #1: my kids did the sanding and lots of the painting. Another great thing about working with my friend is that her husband helped with the install. 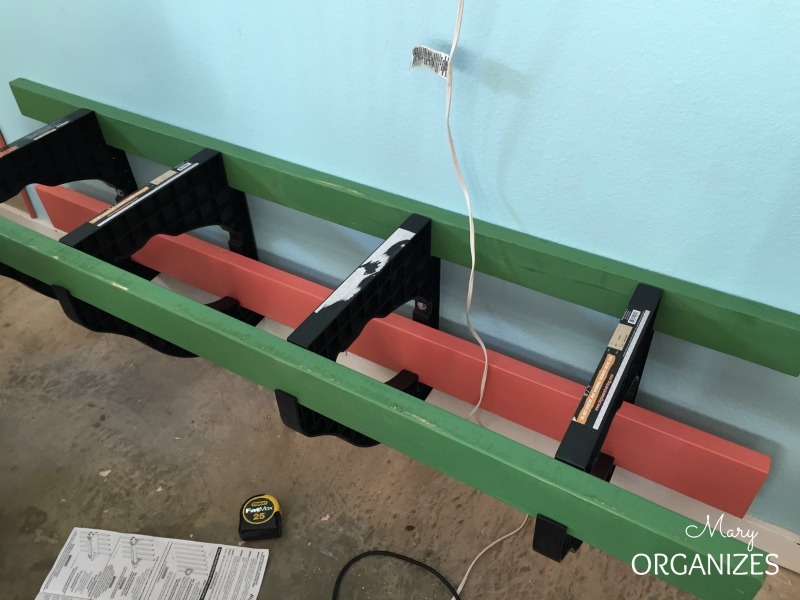 Here is the bench coming together with Ryan’s help. 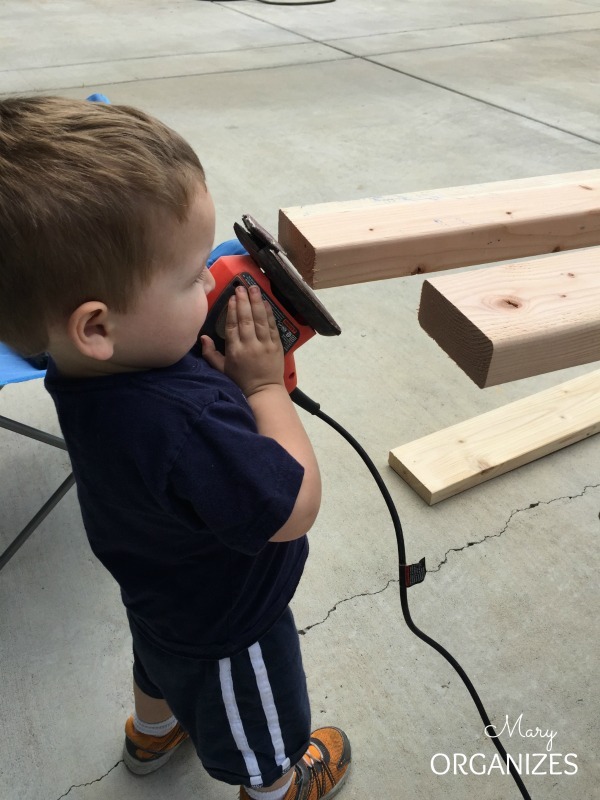 I read the easy-to-follow directions and he held the power tools. Win-win. We added some extra support on the bottom so that their kids could climb on it without any worry. This thing is solid! Turns out that heavy duty garage shelving can make for a great mud bench! Another fun risk I took was bold color choices. I like color. Jessica likes color. Her favorite green is that beautiful deep grassy green, and coral and light aqua are so fun right now! 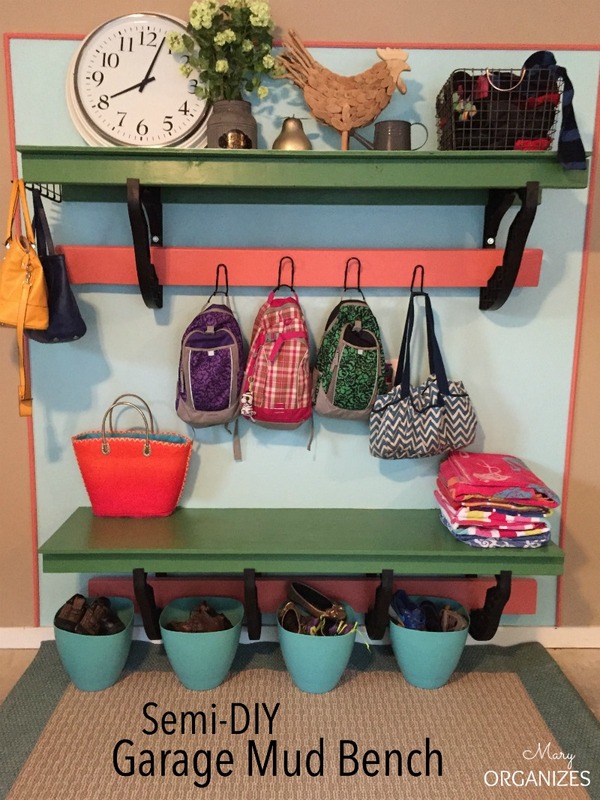 Throw them all together, add some trim around it, and what do you get …. A pretty awesome garage mud bench area. I loved when one of their boys said during the install “the inside of that totally looks like a bear!” Why yes, yes it does. There are some hooks for backpacks, coats, towels, whatever! 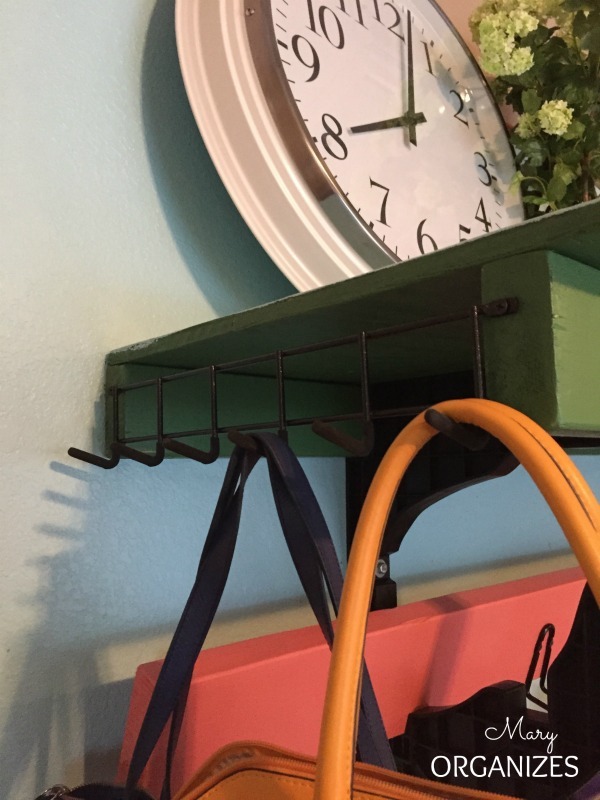 We added these extra hooks on the end for umbrellas, keys, purses, etc. I love how it turned out. Fun + Functional = Awesome. I’d like to give a huge thank you to Big Bear for sponsoring this post and giving me the chance to go have fun in my friend’s garage. Go say hello to them on Facebook and go watch this video for more garage storage ideas that save time. Am entering a comment on their Facebook page. 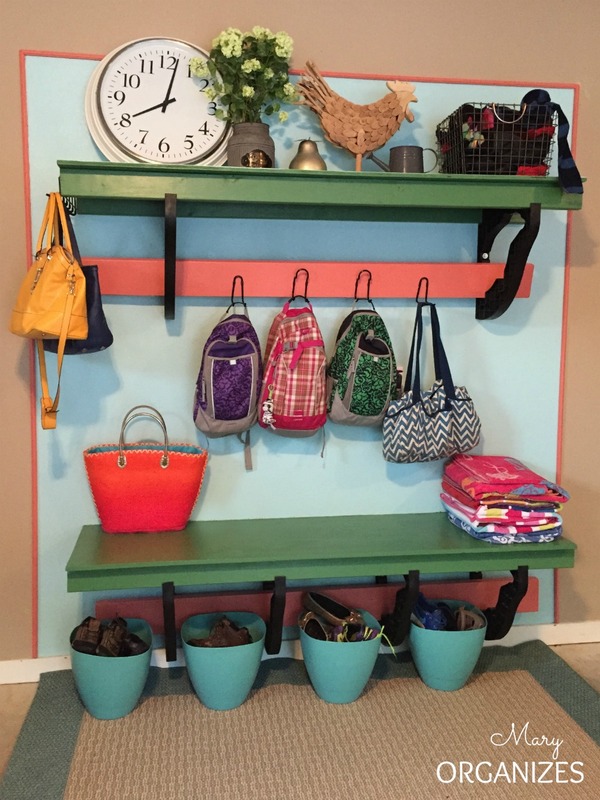 Would it be OK to copy and paste the pic of the finished garage/mudroom bench into my comment on their page? Good for both of you. Please let me know. I won’t finish until I hear from you. Thanks, Mary. Whoops! Should have asked if I could post your link, pic, and the post! If I can put the whole thing: pic, post and my words, is that OK? Thanks! Hire a professional organizer! You won’t regret it!